Unapologetic is a brief, witty, personal, sharp-tongued defence of Christian belief, taking on Dawkins' The God Delusion and Christopher Hitchens' God is Not Great. 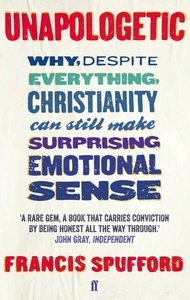 But it isn't an argument that Christianity is true - because how could anyone know that (or indeed its opposite)? It's an argument that Christianity is recognisable, drawing on the deep and deeply ordinary vocabulary of human feeling, satisfying those who believe in it by offering a ruthlessly realistic account of the bits of our lives advertising agencies prefer to ignore. 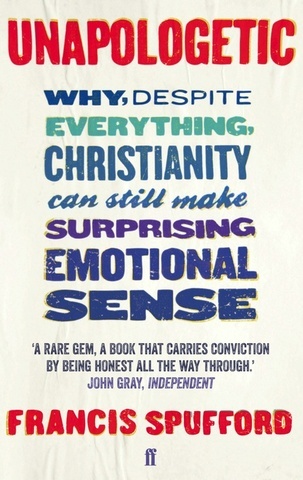 It's a book for believers who are fed up with being patronised, for non-believers curious about how faith can possibly work in the twenty-first century, and for anyone who feels there is something indefinably wrong, literalistic, anti-imaginative and intolerant about the way the atheist case is now being made.